In the nineties, a Commercial Bank’s Agricultural Credit Officer who is an indigene of Kogi state approved agricultural credit loans for some small scale farmers in Koton-Karfe town and environs. The then Ohimege-Igu of Koton-Karfe, the late Alhaji Shaibu Mamman Lafiya guaranteed the loans which became bad due to non-repayment. The Agricultural Credit Officer, an Ebirra tribe also but from Okene side, chased for recovery of the loans for long without success. One day, he went to Ohimege-Igu and told him that he was arranging with security operatives to arrest and prosecute Ohimege-Igu’s subjects for the loan default. The face of Ohimege-Igu, who shortly before then was sharing with the Officer, the usual jokes and amusements between Ebirra-Koton and Ebirra-Okene became smitten; with his eyes set and firm, he turned to the Agricultural Credit Officer and put a question to him : ‘’You want to come and arrest and take your people own to court? If you finish that your work, aren’t you coming back home to meet them’’? And that was the last time that officer went there to chase for the loan. By and large, who wants to kill Dino Melaye, the Cicero of Ijumuland and the Senator representing the Kogi West? To kill him for what purpose and to achieve what, which are the questions begging for answers that may not be of any use. On Saturday April 29, 2017, the Force Spokesman, CSP Jimoh Moshood, paraded before the newsmen in Abuja the six suspects arrested in connection with an assassination attempt on Melaye in his home in Ayetoro-Gbede, Ijumu local government area of Kogi State on April 15. Moshood said the arrested suspects included a sole administrator of Ijumu local government, Taofiq Isa and his orderly, Sgt. James Ede. Others are Ade Obage, Abdullahi Isah, Ahmed Ajayi and Michael Bamidele. 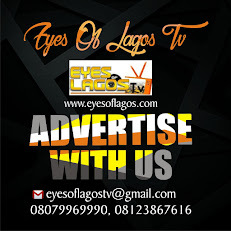 Unarguably, most of these suspects stood with Melaye under the All Progressives Congress (APC) during his election to the senate against the then incumbent, Senator Smart Adeyemi of the Peoples Democratic Party (PDP) and most formidable contender, Samuel Bamidele Aro of the Accord Party (AP). Against all odds, they aided him to floor Aro who some people allegedly said had earlier defeated him during APC primary before crossing to Accord Party to contest against Melaye and others in the main election. The story has it that some of the boys parted ways with Melaye allegedly on the grounds that they were not well compensated for their daring-do jobs during his election. 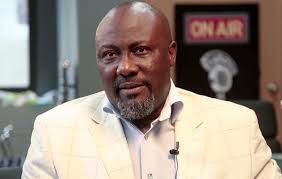 Their decisions were aided by the appointment of Taofiq Isa as sole administrator; who they said was rather ‘’wearing munificent gloves in the hand’’, just as they see Melaye as if he was a ‘’ former Araldites Production Manager’’ while relating with them. It is the same set of boys that allegedly demonstrated with play cards calling for his recall from the senate back at home last year and also before the National Assembly by April 1, 2016. Besides, they felt that despite his activism in the senate and been in the corridor of power superintended by Senate President, Bukola Saraki , same has not transmitted with any development project zoned back home; two years into his term in the senate. It’s doubtful if any current member of the senate is free of this accusation back in his or her constituency; a condition caused not just by the recession but the cataract relationship between the Presidency and the leadership of the senate. And like a general without troops, the senate controls no votes to dispense favours with or allocates projects for communities. And Melaye’s case is no exception. The birth of any form of political violence or killings in a community is akin to sowing dragon teeth which invariably leads only to the harvesting of whirlwind, woes, chaos, destructions and regrets. When it dawned in Okene some years back, no one gained anything. Okunland has been home of peace, and may that remains till eternity. Graciously enough, Governor Yahaya Bello’s political philosophy abhors political violence and killings. One clear example was his reaction when he denounced and sent some boys from Agassa from his campaign trails for been involved in a violent fight with opponent group while he was seeking for the APC ticket. This is why the call of the Okunland traditional rulers on April 30, 2017 led by the Acting Chairman of the Okunland Traditional Council, the Olubunu of Bunu land, Oba Adewale Ikusemoro for a truce between Taofiq Isa and Melaye is commendable. Since no one negotiates while in chains, the elders’ demand for unconditional release of Taofiq needs no further stressing. This supremacy feud is needless. Both Melaye and Taofiq need each other including the other suspects in police custody. Taofiq can’t be a garrison commander like other Local Government Chairmen and at the same time being a diplomat out their calling shots in the national political sphere or discourse. Besides, even in the absence of any other assessment, Melaye’s nuisance value can be politically appropriated to the benefit of his immediate community, Kogi West and Kogi state; for his usual disquieting presence in the senate. While many members go through third parties to table issues from their domains on the floor of the senate, the Cicero of Ijumuland goes straight to do his own equanimity. Nigeria is a federation, therefore each state is almost sovereign in nature, which is the reason a governor is described as the chief security officer of his state. One must therefore give to Caesar what belong to Caesar. A Fulani herdsman came to the town and saw the then larger than life Sir Ahmadu Bello, the Sardauna of Sokoto addressing a political crowd. While some people were clapping their hands for a good talk, some sections of the gathering were murmuring in disagreement with what he said. The man went back to his farm only to watch his son directing a herd of over 50 cow heads with one stick. The boy shouted at the herd; go right and it went to the right, go left and it took to left, without any questioning his directives. This made his father to conclude that with a herd of 50 cows, one needs just a stick. But for 10 human beings in your custody or under your control, one needs 10 sticks of different sizes, shapes, lengths and so on. This is why the wisdom of Ohimege-Igu of Koton-Karfe, the late Alhaji Shaibu Mamman Lafiya counts for Melaye, just as he requires request of the Okunland Traditional rulers for soft landing in this ‘’family matter’’. Besides, Melaye is yet to formally disclose to Governor Bello, the chief security officer of the state that he was attacked during his visit to his village. This will also provide grand soft landing for Melaye in the needed resolutions between and even with Taofiq, ‘’other suspects’’ and some Okun people who generally now feel he has used his Abuja connection to arrest and detain their relations in Abuja.